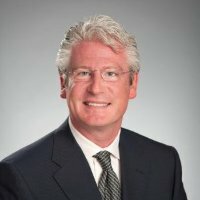 David Day is a Senior Executive with extensive experience in the sales and delivery of business and information technology transformation programs with Global Fortune 500 Energy companies. Background of success includes over $500M in consulting and outsourcing sales in the last four years as well as holding many senior leadership positions. Very strong entrepreneurial, leadership, and program delivery skills with the exceptional ability to build, focus, and lead top-performing teams to surpass expected outcomes. Background includes extensive sales and delivery roles in all aspects of the energy industry; including Upstream, Midstream, and Downstream initiatives. Operated in a number of diverse environments, including start-up activities and large existing operations. Collaborated across diverse stakeholders and managed in complex change environments. Have proven ability to sustain profitable growth while managing an operation. Nicole Day is the owner and founder of Emerald City Lights, the creation of an inventor with an eye for electric awesomeness and a sharp business woman with a special place in her heart for anything dazzling and fun. The inventor and her husband enjoys having fun, including travelling and enjoying themselves in cities like New Orleans (the place they were married) and wild party towns across the USA. Come see David and Nicole Day speak on September 11, 2014 at the Ignite Houston Revolution on microeconomics for kids. Allowance is as old as sharing crops with kids. But when it came to creating the perfect resource system for the Day family, we leveraged our in-depth knowledge and business acumen to effectively prepare them to take on the world. Here’s the story of how one family turned a basic classic American pastime into the ultimate learning experience. Hint: It involves a jar full of money, RFPs for children and a process unlike any you’ve ever seen… save for Corporate America and the world’s largest economic stages.